A mistake. A few weeks ago, reviewing the distinguished film Once Upon a Time in Anatolia, I said it had won the Grand Prix at the Cannes Festival last year. In fact, it shared the prize with another film, The Kid with a Bike, which is of equal distinction. What an occasion. 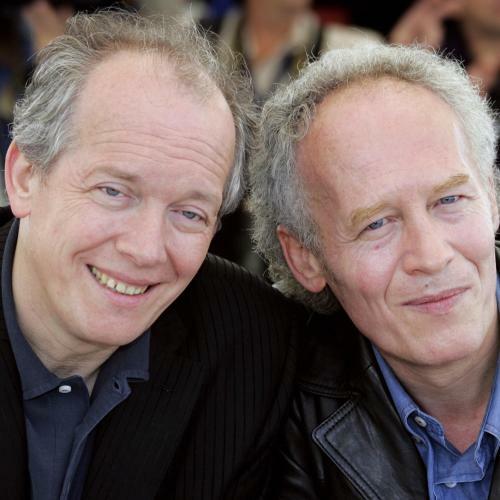 The second film is by the Dardenne brothers, Jean-Pierre and Luc, who in 1996, after some twenty years of making documentaries in their native Belgium and in France, ventured into fiction. It didn’t take more than their feature film breakthrough, La Promesse, to show that the film world was lucky in the Dardenne switch. Their subsequent pictures have confirmed the place of these two men among the peers of this realm. It has reached the point where we no longer wonder whether a new film of theirs will be good: we just wonder what it will be about. A gratifying coincidence here for me. Readers may remember that in relatively recent issues I have dwelled on the mystery of child actors—how children inexperienced in acting and in all its socio-psychological trappings can do so well. The mystery deepens. The performance here of Thomas Doret, who plays eleven-year-old Cyril, is as authentic and thorough as any youngster’s acting I can remember. More: his performance is the largest, the most essential in the story. It all takes place, one might say, on the field of his passions and defeats. So what we have here is a project in which two of the world’s leading film-makers built everything on their possibilities with an untried boy. This oddity is not new in film history: the first foreign film I ever saw, Duvivier’s Poil de Carotte (1932) with Robert Lynen in the lead, was itself not the first in that sort of venture. But Doret’s remarkable achievement only deepens the mystery that began for me with Lynen. She is Samantha (played with ingratiating warmth by Cécile de France), a beautician with a salon of her own, who is sufficiently moved by Cyril’s state to take up his case. She gets permission, with his agreement, to have him spend weekends with her as his foster parent, and she helps him look for his father. Eventually they find the man, working in a restaurant. He is—verbally, at least— brutal with the boy: the father wants to be rid of him so that he (the father, that is) can have a fresh start in life. This bluntness doesn’t discourage Cyril: he still wants to be with his father. His hunger for affection shields him from belief that his father means his rejection. Instead, however, he goes to live with Samantha as his foster parent. She even evicts her boyfriend after he asks her to choose between Cyril and him. The rest of the film deals with Cyril’s continuing search for a father—which leads him into crime. The gang leader who recruits him, a young man, is the closest Cyril comes to a substitute father, yet he tries to give his real uncaring father the loot from his crime. At last he pays in his own way for the felony he committed— another father and son are involved here—and then he continues his search with new confidence. The directing by the Dardenne brothers reflects their previous work: it wants to be unnoticed either for virtuosity or clumsiness, yet only virtuosos can attain this ideal. Everything seemingly just happens before us, as if all of creation had occurred so that we could see these things—simply. At the finish, Cyril again mounts his bike—on which he began his search and which is almost a part of his being—and continues. His longing for his father is stronger than his father’s rejection. This picture, fine and unwavering as it is, is not quite of the dimension and depth of the first three Dardenne pictures (which also were concerned with children and parents). They had an almost Tolstoyan reach. The Kid doesn’t have quite that emotional and thematic size. But it is assuredly a Dardenne film, a venture into strata of feeling and response that are waiting for us to be reminded of them. At the last this lovely if slightly lesser film is a work that—happily for us—these two extraordinary men didn’t want to overlook as they move on. STILL ANOTHER FULL unfaltering performance by a child. This time it’s in a horror film, which in itself is no surprise: children populate the genre. This, however, is a picture with familial antecedents that make it unusual. Horror pictures, never dear to this viewer, seem to come in two kinds: the ones with physical monsters in them (Frankenstein, werewolves, etc.) and the ones in which normal-looking people, in normal residences, do wildly outrageous things. One of the latter is Michael, newly arrived from Austria. It is so neatly made that, grotesque though it is morally, it invites an admiring look at the man who did it. Markus Schleinzer, the writer-director, has been working in films for more than twenty years, acting a bit but chiefly known as the casting director for Michael Haneke. Haneke, also Austrian, has made a number of finely crafted films, sometimes exquisite, almost always with an interest in bizarre behavior— sometimes far past bizarre. His work has consistently shown, in its texture, the judgment of an artist; but occasionally it has made us wonder why an artist wanted to treat this subject—not just because of the various cruelties involved but because watching them was merely, in the most visceral way, diverting. Haneke’s The White Ribbon was cruel but substantial; his Funny Games was just fascinatingly frightful. Now here is his associate, Schleinzer, with his first feature, in which he shows how much he has learned from Haneke about filmmaking itself and also uses it to present a psychotic. It is hard to see how Schleinzer has not been influenced in both skill and temperament by his master. Another factor looms. In recent years we have learned about psychoses in Austria comparable to this one. One can surmise that Schleinzer joined his film experience with Austrian sources not only because of aptness but because that junction would of course be noted. (As, for instance, here.) The resulting picture would show that an Austrian could be as frightened as anyone else by these particular black caverns of the human psyche. The protagonist Michael, a man in his thirties, is a middling of the middle class, who goes regularly to his job in a big company, works, lunches, chats, goes home to his pleasant house. His married sister and his mother, who live elsewhere, know that there is a boy in his house: what they don’t know is that the boy is a prisoner, kidnapped, held by Michael as a sexual plaything. Throughout, we wonder how Michael is getting away with this crime, why some leakage hasn’t happened; but we can note Michael’s scrupulous planning, and we know that similar crimes have gone on for years. Michael certainly can never have our sympathy, no matter how pitiable his mental state, but we cannot help wondering what is going to happen to him—and of course to the boy. The telling of the story is so cool and reportorial, except for some of the scenes with the boy, that we almost feel paralyzed as by a cunning spider. Michael Fuith (the third Michael) plays the film’s Michael with an intense ordinariness that makes his psychosis freezing. David Rauchenberger plays the boy with one more of those perfect juvenile performances that are simply astounding. There is never one flawed moment. Michael, in any moral sense, is unconcerned with his secret behavior: he simply does it. His daytime self even gets a job promotion in the course of the story. At the end we may feel a bit ashamed for having been so interested. But without rummaging in our own psyches for explanations, we can soothe ourselves with memories of Jekyll and Hyde. Jekyll doesn’t justify Hyde, but he makes his other self painfully interesting. Schleinzer knows this. Stanley Kauffmann is the film critic for The New Republic. This article appeared in the April 5, 2012 issue of the magazine.